Italy taught me to cook. When I moved to Rome for my senior year of college, I had rudimentary kitchen skills. Over the course of the next couple of years, when I went out to eat I savored every bite, trying to understand how seemingly simple food contained so much flavor, and then I’d try to reverse-engineer those dishes back in the kitchen. Daily shopping in Campo de’ Fiori taught me the central answer: the quality of ingredients, grown nearby, is key. Practice (and lots of what I called “research eating”) taught me the techniques I needed. In the ensuing years I’ve built on that knowledge and turned it into a career as a food writer, photographer, teacher, and gardener (including six years writing for Chronogram). Now I get to share this passionate connection to one of the world’s great cuisines with you as I lead a ten-day cooking class in Umbria next month. 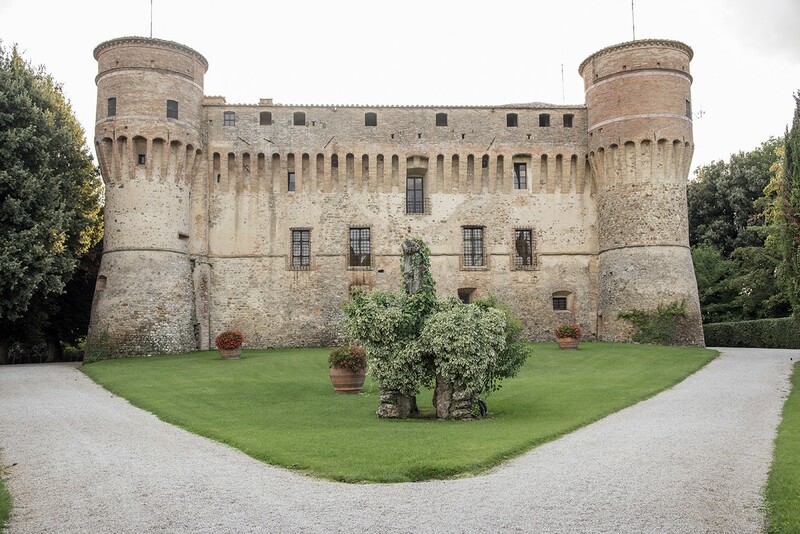 [image-4] The director of that college program, Dana Prescott, now runs the Civitella Ranieri Foundation, which gives residencies to artists, writers, and musicians from May through October in a 15th-century castle overlooking Umbertide. In their off-season, they host classes. 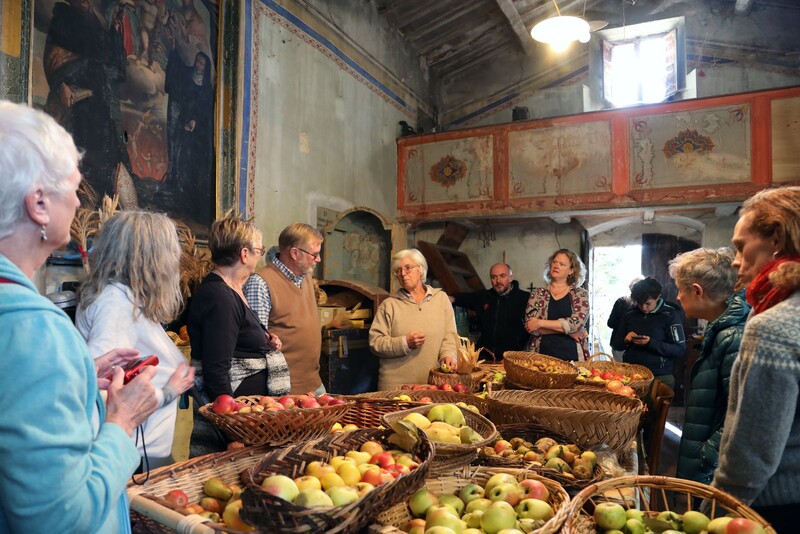 Last year, Dana invited me to lead a culinary tour of Umbria. We did our first trip in November, and it was a huge success. I’m leading another one from March 17-27, and there are a few spots left. 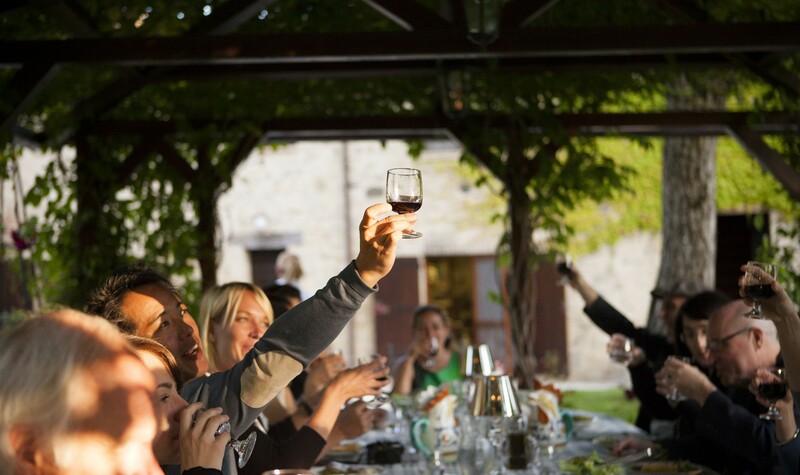 We’ve put together a program of hands-on classes and demonstrations combined with field trips and visits to winemakers, chocolatiers, cheesemakers, and other producers to help you understand the region and its products as comprehensively as possible. And beyond this immersive experience, my goal as a teacher is to show you how to use the same approach to local ingredients in your kitchens at home. We may not live in Italy, but we can conjure up some pretty transcendent meals using the techniques you’ll learn on this trip. It will change the way you cook. And, just to be clear, you’ll be doing this based at a real live castle, surrounded by some of the most beautiful and fertile landscape in the world, guided by expert staff and staying in beautiful private rooms. You can see more details and photos of some rooms here, and here’s the itinerary we have worked out. Italian is the perfect cuisine to learn from, because it’s not complicated and we already know and love the flavors. (And the setting could not be nicer.) Within that simplicity, though, there are powerful lessons to be found that will change your relationship to food forever. Remember that in Italy, as in many other parts of the world, “eating local” is simply known as “eating”. We’ll show you how to bring this approach into your own kitchens and conjure some of that magic. Your pasta game will never be the same. Italian food might be the most widely loved on the planet, and with good reason. Much less touristy than neighboring Tuscany, Umbria is known as Italy’s “green heart” (cuore verde) for its prolific agriculture and stunning pastoral beauty. The best charcuterie comes from Umbria, as do the great wines of Montefalco, the best legumes and vegetables, and some of the country’s finest olive oils. It’s hard to overstate how much there will be to see, learn, eat, and drink on this trip. My experience there altered the course of my life in the best possible way. Let us show you how it’s done. To learn more and reserve a spot, email molly@civitella.org. Hudson Valley EATS, which is quickly becoming the ultimate online guide to where to dine and drink in the area. The website is divided into four sections—articles, events, news, and a searchable restaurant directory. Hudson Valley EATS offers one of the most detailed and refined search engines in the area for picking just the right place to dine, customizable to meet any diner’s needs and desires. Ah, the loveliness of Easter. Renewal. Rebirth. Lamb, glazed ham, and fresh-made pastry. If you don’t feel up for cooking a big feast but you’d still like to partake, head to any of these fine Hudson Valley establishments for an extra-special Sunday brunch.